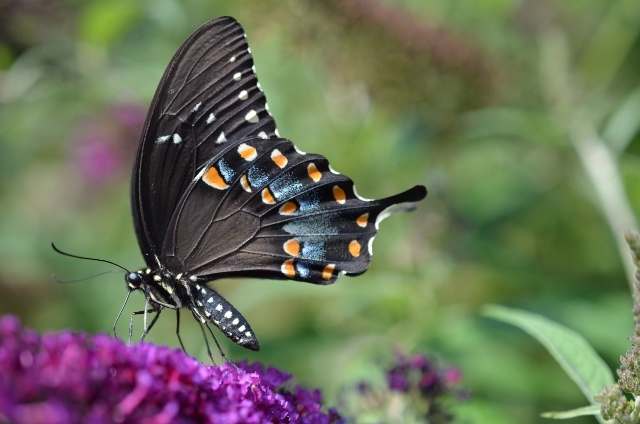 Spice Bush Swallowtail stopping by the butterfly bush. Thanks, I look forward to more butterflies arriving in August. They are such a pleasure to watch.